Many people underestimate Brussels as a tourist destination. The numerous headquarters of European Union institutions and its frequent mentioning in the news (“Brussels cut the EU funds…”, “Brussels imposed sanctions…”) brand it as a serious and boring place. Belgium’s capital city, however, will really impress you with its enchantingly beautiful center, hundreds of beer styles and brands, mouth-watering meals at the restaurants and street stands, huge comic characters graffiti on buildings facades and its unpretentious atmosphere. This is the biggest square in the city. Here you will find the Town Hall, built in Gothic style back in 1448. Its tower is 96 m high. There is also the statue of Everard t’Serclaes. The legend has it that rubbing his elbow brings good luck. In the past, the houses were not numbered but rather given names connected to the statues on their facades. That is why every single house around the square has its own name and is a representation of certain craftsmen’s guild. Every two years, in August, a huge flower carpet is arranged at the square. This is a huge metal construction in the form of an iron atom, built for Expo 58, which has turned into a symbol of the city. It is 102 m high. Five out of its nine interconnected spheres shelter scientific exhibitions. You can reach them either by elevator or stairs and up there enjoy the incredible view to the city. More information about entrance fees and working hours is available here. This is a popular small statue, a symbol of Brussels, which depicts a little boy peeing in a fountain beneath it. You will notice that the boy is dressed in different costumes, which are regularly changed two or three times a week. Nowadays the statue is a replica of the original, which was stolen in 1817. When in Brussels, you must take a photo in front of this statue (located close to the Grand Place, at the crossing of Rue de l Etuve and Rue du Chene). The city also has a statue of a peeing girl (Jeanneken Pis) and a peeing dog (Chien Pis). 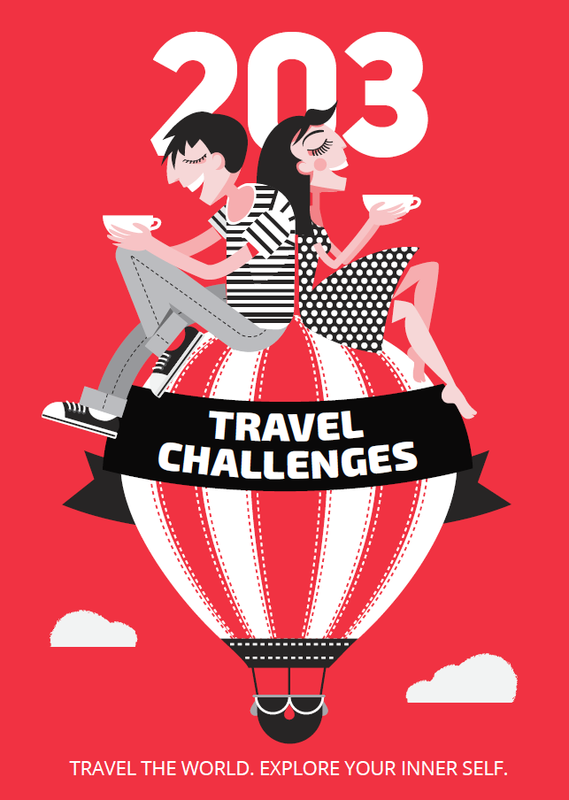 Take a tour around the entire Europe in just a few hours. Think it s impossible? Not a whit, you can do it at the Mini-Europe Park. 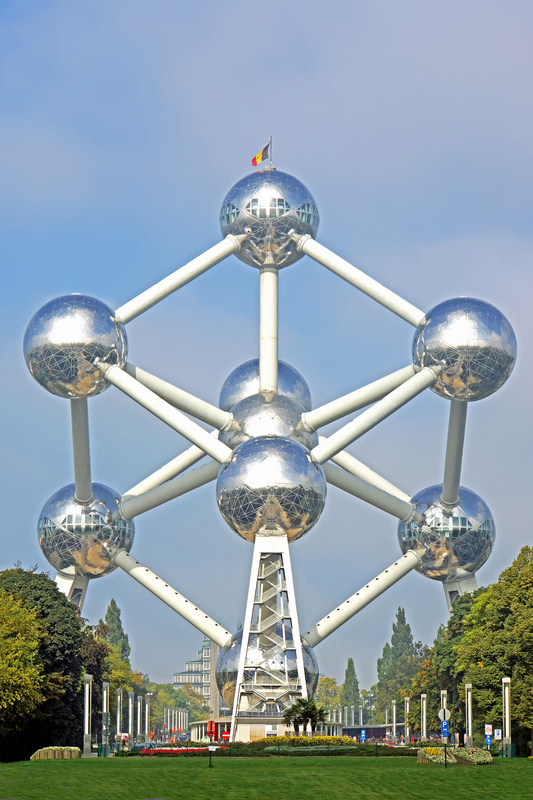 It shelters some of the most emblematic landmarks of each EU member state. Here you can see the windmills of Don Quixote, Mount Vesuvius, Big Ben. The original royal palace was destroyed by a fire in 1731. Over the centuries it was reconstructed and renewed. Nowadays, it houses the offices of the King and Queen of Belgium and hosts summit meetings. The palace is open for visitors for a restricted period of time during the summer. The Throne Room, built during the time of Leopold II, with its 11 chandeliers and gold-plated ceilings, is the most impressive room in the building. This is the fifth-biggest basilica in the world. It is 89 m high and 167 m wide, built in Art Deco style. You may reach the top of the building using an elevator or climbing up the numerous stairs. The top of the basilica offers an incredible view to the entire city and its vicinity. The exhibitions at the halls are dedicated to different centuries each. Here you can see works by Rembrandt, Van Dyck, Rubens, Juan de Flandes, Bruegel (father and son), and many other artists of different periods. The museum is found inside the The King s Household (La Maison du Roi) at Grand Place. The building was restored in Neo-Gothic style. 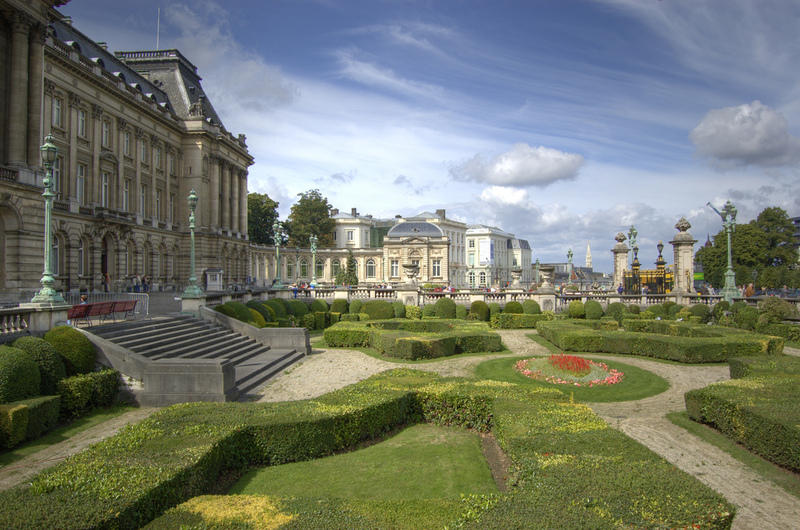 The museum features paintings, mural gobelins and other exhibits connected with the history of Brussels. It also stores the different costumes of the Manneken Pis. This is the place where the MEPs hold sittings. You can examine it both from the inside and the outside. You will see the plenary hall, learn about the decisions that affect Europe’s history, and even meet some of the people making these important decisions. This impressive building raises high in the heart of the city. It used to be the biggest in the world back in 1883 when it was finalised, even bigger than the St. Peter s Basilica in Rome. Its dome can be seen from any part of the city. It shelters the Law Courts of Brussels until nowadays. Here you may sit peacefully with a book in your hand under the shadow of the giant trees and amidst the fresh aroma of the flowers or go jogging under the sun. There are many statues scattered in the park, which is situated between the building of the European Parliament and the Royal Palace. There is a summer open-air stage, first built in 1840, which is reconstructed and now used for live concerts and performances. It is located in the central part of the city. The cathedral was built in Gothic style in the XII century. Some of its parts are even older, dating back to the XI century. You will notice the beautiful stained glasses and the huge organ. St. Gudula is the patron saint of the city of Brussels and her relics are sheltered in the cathedral. Tanks, military helicopters, jets, assault rifles, cold steel weapons, models of military ships, and many other military artefacts. The museum presents the military history of Belgium since the Middle Ages until nowadays. The terrace of the café inside the museum, on the other hand, offers a view to the aviation collection. Here you can see traditional African vessels, masks, musical instruments, minerals, photos and documents, all representing the African culture. The museum also shelters different stuffed animals, which are characteristic for Africa. Here you will get acquainted with the history and production process of Belgium s chocolate in detail. You can’taste your favorite cocoa delicacy and see how the chocolates are made. Tempting, isn’t it? The museum is situated at a cross-street of Grand Place. Here you can learn everything about the comic books – starting from the very first sketches, the realisation of the idea and then the publishing and distribution. 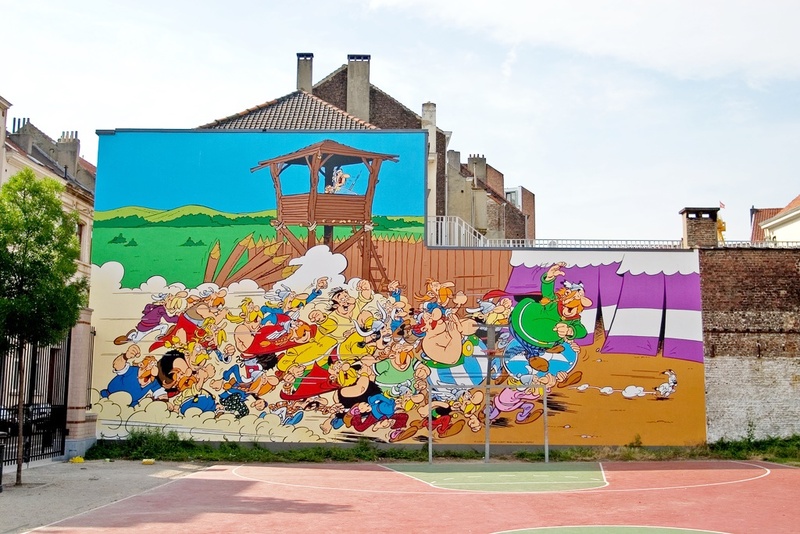 Belgium has given the world several of the most popular comic books – The Smurfs, Tintin, Lucky Luke. Here you can see both black and white and colourful comic books and pictures, as well as many temporary exhibitions. There is also a reading room where you ca examine comic books in different languages. What is more, here in Brussels you can see comic characters graffiti on buildings façade throughout the entire city. Learn more about the life of the comic characters in Brussels. In fact, this is a functioning brewery, producing the Gueuze Beer. You will be guided through the brewery and learn more about the beer production, while in the end you will be treated with a glass of the drink. Information about entrance fees and tours is available here. The church is built in Gothic style in the beginning of the XV century. You will be impressed by the detailed statues and the beautiful 14 m stained glasses, 7 of which illustrating the life of Virgin Mary. The statue of the saint, on the other hand, is said to have a healing effect and make the prayers and wishes come true. You will see a big glass palace of the XIX century here. In the past it used to shelter the garden itself, while nowadays it is used to stage concerts and organise exhibitions. Take a walk along the floral alleys, all the greenery and the fountains, or just sit on some of the benches circled by the huge skyscrapers of the city. If you are fond of the unique and bizarre architecture, this is definitely the place to visit. Victor Horta is the father of Art Nouveau architecture. Nowadays his home and studio have been turned into a museum. Everything here is designed by him in unbelievable forms and colours. This is not a place for painting exhibitions, it is a place for shopping. It is supposed that these are the oldest galleries in Europe, built in 1846, as well as the longest – 213 m. They are divided into three covered markets (bedestens). Here you may give yourself up to indoor shopping. There are fashion boutiques, glass and porcelain shops, expensive furniture and decorations, stores selling tea, chocolate and candies, toys, and there are also many cafes and restaurants. A piece of Asia in Brussels! There are different temporary exhibitions dedicated to Japan sheltered in the high red tower, while in the beautiful garden around the building you may see many typical Japanese plants. The Chinese Pavion is here, too, offering a rich collection of Chinese porcelain and traditional pieces of art. Belgians claim that this is their national dish and when in Brussels you should taste it at least once. The mussels are boiled in white wine and butter, while there are fast food restaurants offering fries with different sauces everywhere in the city. These places are called frietkot in Flemish and friture in French. Bon appétit! 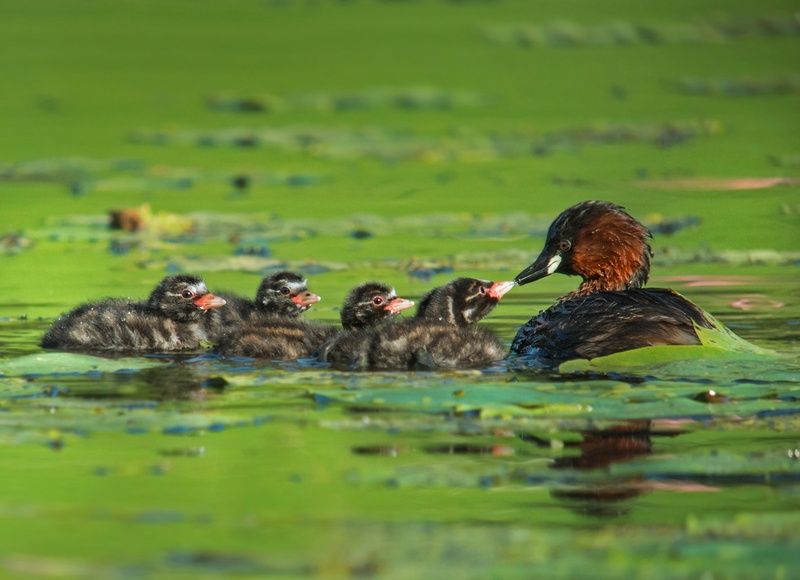 Calm down, it is not about shrimps or mussels dipped in chocolate. These are the typical Belgian chocolates (pralines), often made of white and dark chocolate, in the form of different sea creatures and shells. It is called kriek and has many different varieties. It can be made of cherries, blueberries, peaches, raspberries, and whatever fruit you may think of. It tastes sweetish and does not have the typical bitterness of the traditional beer. Of course, there are tens of other different types of Belgian beer that deserve your special attention, too. You will need at least a week to try all of them. This is the biggest market in Europe. It is set every Sunday morning, located close to the Gare de Bruxelles-Midi railway station where its name comes from. The market offers fresh fruits and vegetables from direct producers, as well as original food products from different regions. The market is also specialized in offering the authentic Mediterranean and South African food, spices, cheese, meat, tea, and honey. It is rich in colors, voices, delicious and highly varied products and goods. House, Latino, retro, jazz… Brussels will meet everyone s music taste. 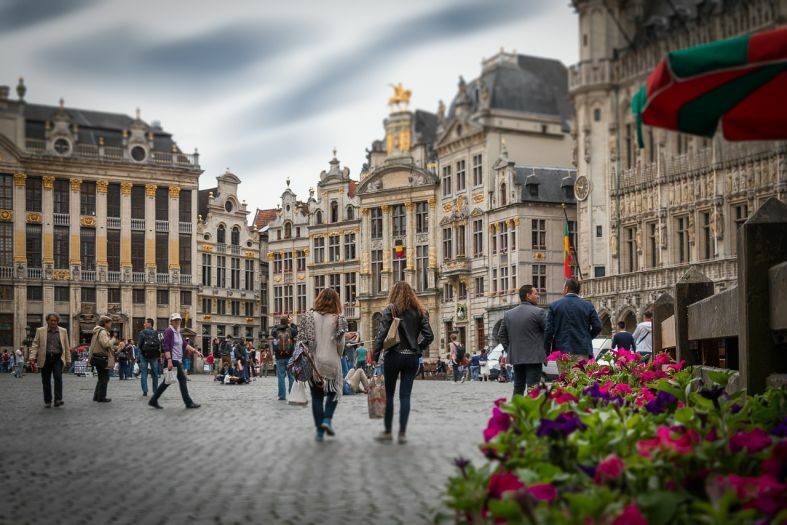 The central part of the city – Grand Place and the nearby streets, offers both traditional establishments where you may have a meal or drink a beer, and modern discotheques and bars, while the Ilot Sacre quarter is known for its great variety of gourmet restaurants and music clubs. More luxurious entertainment and catering establishments are found in Sablons quarter.